10 Beautiful Forms Of Embroidery For Your Wedding Lehenga! 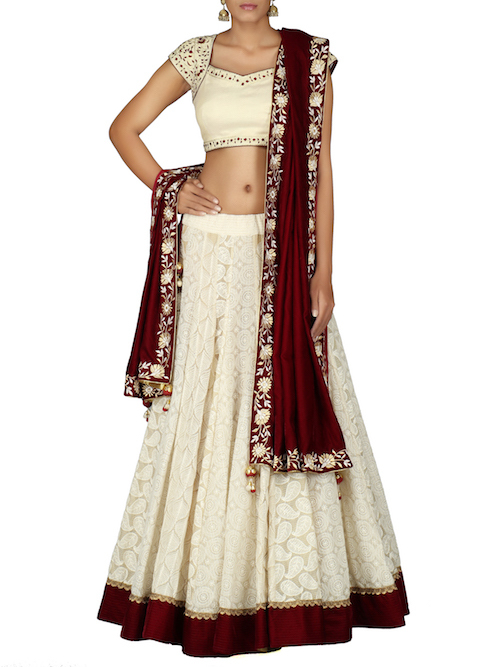 Every bride wants to look and feel special in her wedding attire. She dreams about the day she gets to adorn that perfect outfit for the world to see. 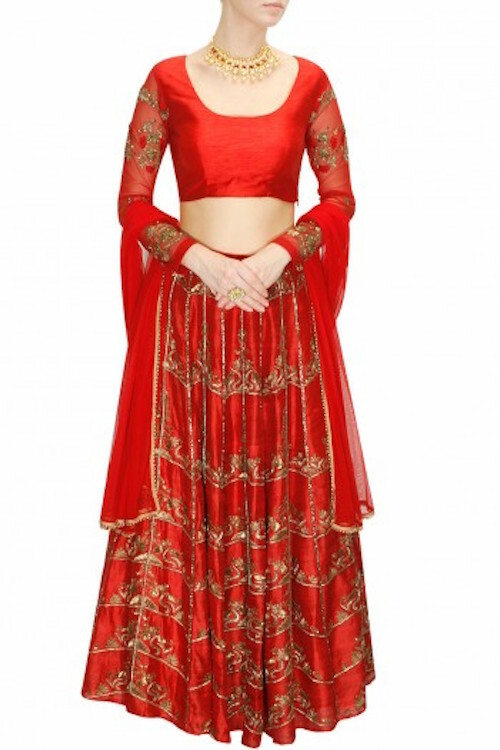 And so, it’s understood that a lot of thought is put into the selection of that unique lehenga, in which she will walk towards her happily ever after. We’re here to make sure that this dream is realized, and that you look nothing short of gorgeous on your big day. 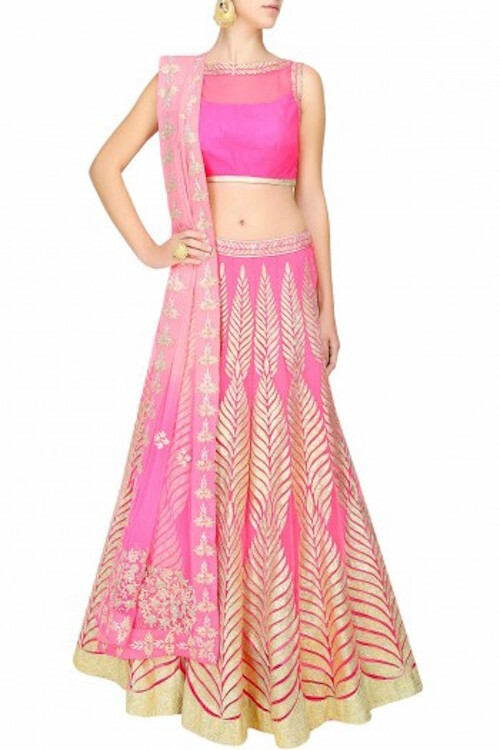 Here’s a list of traditional embroidered lehengas that’ll help you stand out on your big day! The origin for this art form lies in Rajasthan. It’s basically a combination of applique and zari ribbons to create unusual patterns all over the outfit. 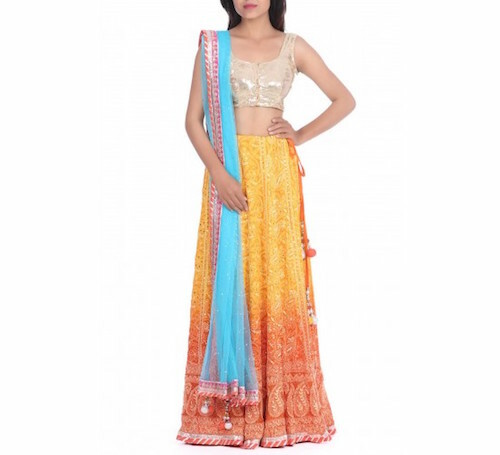 Generally complemented with kinari work, this is an outstanding choice of embroidery for every bride-to-be. Perfect idea for the mehendi outfit, ladies! This is a type of mirror work that is common in Gujarati culture and clothes. It is a form of embroidery that requires attaching tiny mirrors on the fabric along with interwoven threads to make the outfit look like a shiny armour. 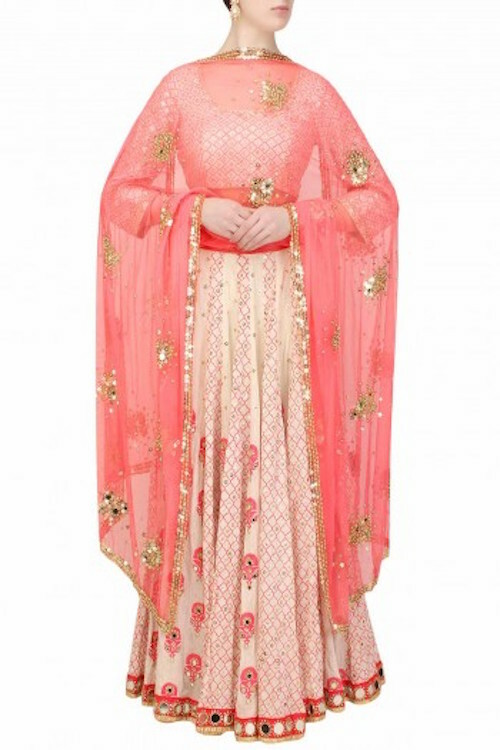 This, along with other forms of embroidery, will make the wedding outfit look like a piece of art. A French word that means “applied”, applique is a form of art in which a surface pattern or a fabric swatch is applied on top of an existing base of fabric. 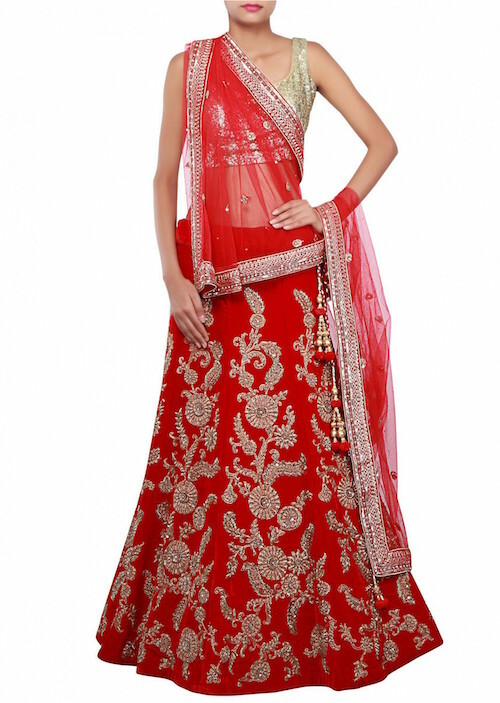 Nowadays, designers use creative ways to render this art into wedding lehengas. 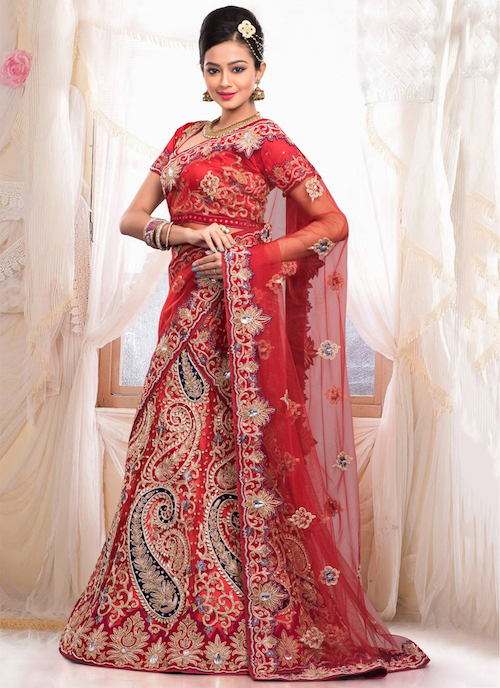 Embroidery is done to make magnificent designs and they look amazing when worn. POPxo Recommends: Amrita Thakur Neon Pink, Yellow & Mint Applique Work Lehenga (Rs 63,000) A place where girls can talk about ANYTHING. (No guys allowed!) ? ? Get the POPxo app NOW on Play Store and iOS App Store.